Today is an exciting day for JAGMAC. They’ve released their debut EP! If you’re not already obsessed with Radio Disney’s Next Big Thing “NBT” – well then, prepare to be swept off your feet. The all-sibling pop group consists of the Patalinghug fam: Jared, 17; Angelique, 20; Gabriel, 21; Manjo, 23; Alyssa, 25; and CJ, 27. And today, they have a big reason to celebrate. Their highly-anticipated debut studio EP is titled “Right Back With You” – and we have it on repeat. 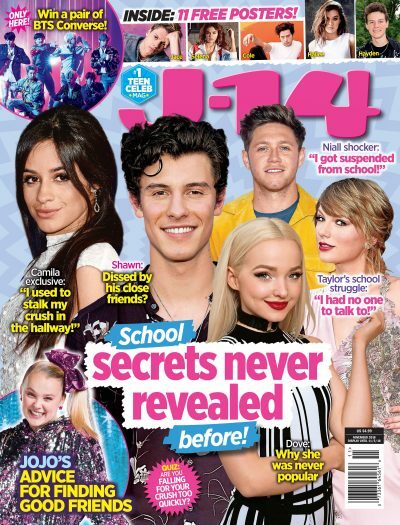 J-14 caught up with the group, and they dished all about their new EP – from the fan reaction they’re hoping for to the energy of their new songs. The EP consists of a high-energy, emotional, and super positive batch of songs. While the verses are super soulful, the hooks will make you want to get up on your feet and dance. Trust us on this one. Redeem your free J-14 exclusive download of JAGMAC’s latest single, “Not Sure” (Extended Version), here!